What is the “best franchise opportunity” or “the most profitable franchises”? Easy question – but very hard to answer. Why? Because what may be an excellent franchise opportunity for one prospective franchisee may be a disaster for the next. Part One: Even before looking at any franchise opportunity, you need to start with the most important question: Is buying a franchise the right decision for me? The first part of The Educated Franchisee helps you answer this question. Part Two: How do I tell the difference between a great franchise opportunity and a lack luster one? What tools are need to evaluate which franchise opportunity is right for me? How do I use these tools to be sure that I buy the right franchise? Part two gives you all the tools you need to evaluate whether the buying of a particular franchise will work for you. Part Three: Signing the franchise agreement is just the start. Part three focuses on practical advice for franchise ownership: What should I expect as a franchisee? What is the first thing I should do after signing the franchise agreement? How can I make sure I am happy in my role as a franchisee? If you’re evaluating which franchise opportunity will be right for you, grab your copy of The Educated Franchisee. It’ll be one of the most important books you’ll read before buying a franchise. The Franchisee Workbook is a practical, nuts and bolts, workbook designed to assist you with your franchise due diligence. The Franchisee Workbook provides you with all the necessary charts, graphs and formulas necessary to put the lessons found in The Educated Franchisee into action. Within the Workbook, you will find practical exercises designed to help you. Make a confident decision as to whether the franchise is right for you. 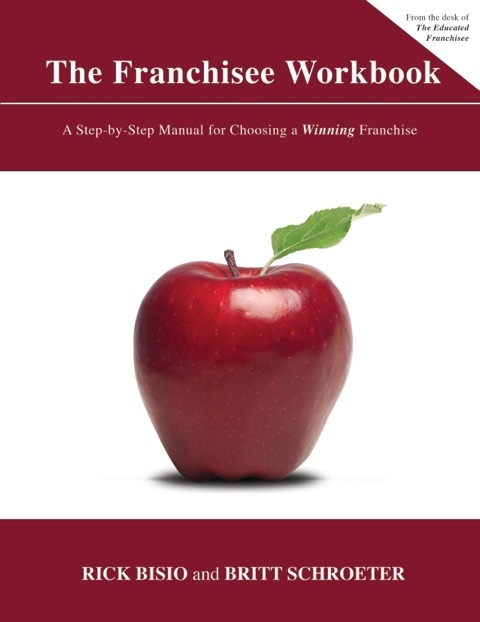 During the production of The Franchisee Workbook, it became very apparent that franchising was in dire need of an up-to-date, comprehensive, franchise glossary. There was simply nowhere to go if you were looking for a well developed, thoughtful list of franchise terms. Kind of smelled like a challenge to us. Over the next 6 to 9 months we set about creating a glossary of franchise terms. This glossary was created with the generous assistance of The International Franchise Association, Lee Plave of Plave Koch, Ken Kaplan, Chief Corporate Counsel of Fantastic Sam’s and The Educated Franchise. Some of the best minds in franchising created this glossary. Best of all, the Franchise Glossary is free. If you wish to review the glossary online, Click here. If you wish to download the entire Franchise Glossary in a PDF Format, Click Here . 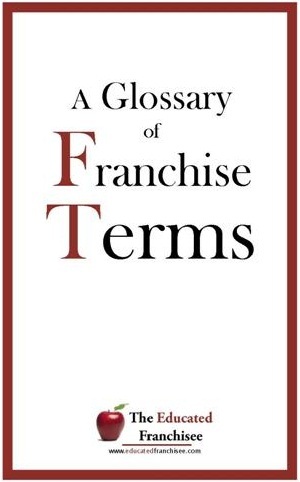 A Glossary of Franchise Terms is a free publication. If you wish to offer A Glossary of Franchise Terms on your web site or make this information available to your clients, please contact us directly for permission and for a customized copy that showcases your company.